We’ve got number of hunting deals coming your way today that will be at 40%-70% off, featuring deals from VOLCANO, G5 OUTDOORS, KERSHAW, EASTON, and ROCKWELL to name a few. Be sure to check out all of the Reloaded deals available. 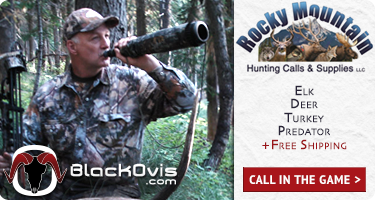 Get ready to pull the trigger! Volcano is best known for its superior camp stoves and heavy duty dutch oven style cookers, but with the new Volcano Lite line they have taken the same indestructible construction to a lite backpacking stove and cook set that will perform each and every time. This set includes everything that they offer for the Volcano Lite series: the mini-burner, 4-piece cook set and aluminum spork. This package is perfect for backpacking as everything fits into the cook-set for space preservation. When you want to go lite, take the smaller of the two sets of cooking pots and trim the ounces. At just 3 ounces, the stove is super reliable to ignite without a match. The cook set is built of high-quality, lightweight anodized Aluminum that won’t stick. Each pot has a rubber coated handle for safe handling when boiling water or cooking. The collapsible spork is a must for a lightweight backpacking option that does it all. 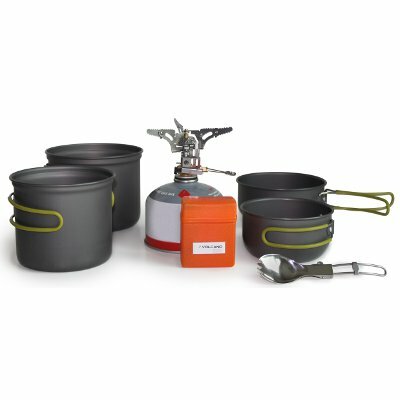 Get your backcountry cook set dialed in with the Volcano Lite complete set. Got something to say about the VOLCANO LITE BACKPACKING STOVE AND POT COOK SET? Speak your mind by commenting below.